Born June 20, 1932 in Pavilion NY, he was a son of the late John B. and Paula (Melhenbacher) Wheaton. 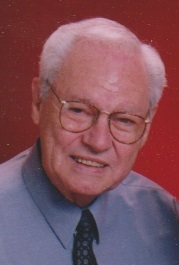 He was a 1951 graduate of Olean High School. On June 4, 1955 in Scranton, he married Betty K. (Kahler) Wheaton who survives. On April 11, 1951 he enlisted in the United States Air Force, serving during the Korean War. He was honorably discharged on April 10,1956. After returning from the service, he worked at Dresser-Rand in Olean and Hysol. In 1987, he and his wife moved to Merrells Inlet SC. He worked at Burlington Outlets, until he retired. In 2017, he returned to Bradford to reside near his family. Walter was an avid gardener and golfer. He was a former member of Birch Run Country Club. Surviving in addition to his wife Betty of 63 years are two sons, Richard L. and his wife Kay (Unverdorben) Wheaton of Bradford and David and his wife Carrie (Van Winkle) Wheaton of Garden City, SC, one granddaughter Lynzy Wheaton and her fiance Kevin Caldwell, of Chantily, VA, one sister Shirley Hale of Hinsdale NY, and several nieces and nephews. He was preceded in death by his parents and one sister Brenda Reidel. Family will receive friends on Thursday April 18, 2019, from 10:00 am to 11:00 am in the Grace Lutheran Church. At 11:00 am a memorial service will be held with Rev. Gerard leFebre, Interim Pastor of Grace Lutheran Church officiating. Memorials if desired may be made to the Grace Lutheran Church or a charity of the donor's choice. Funeral arrangements are under the direction of the Hollenbeck-Cahill Funeral Homes, Inc.
Our thoughts, prayers, and love are with you all.